While the intelligence and police apparatus spares the likes of Ravind Sistala and Arun Dixit—NTRO officials of joint secretary level who mysteriously lost their laptops containing top secret information about India’s missile monitoring system and N-weapons programme—it has been quick to victimise innocents. 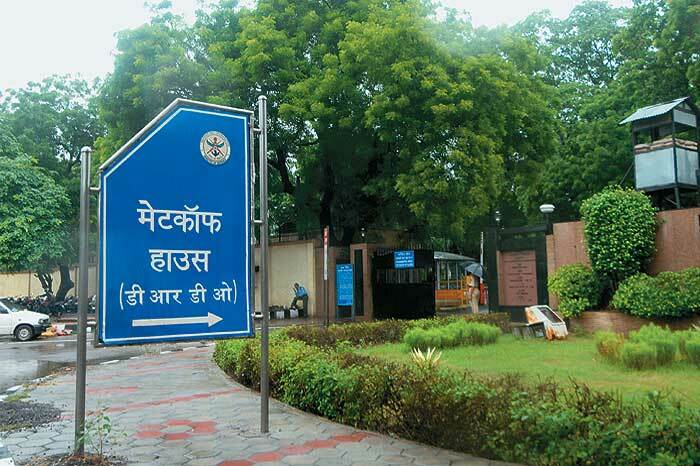 The authorities failed to affix blame for laxity even when 53 computers full of secret codes were stolen from DRDO’s labs at Metcalfe House, Delhi. The computer shells were found subsequently, but their hard disks remain untraced. But in 2006, an overenthusiastic Delhi police went all out against Commander Mukesh Saini, a retired naval officer, after he was accused of leaking secrets to a foreign agent. Saini, who has a masters in computer management and business administration, had served the National Security Council Secretariat (NSCS) for almost three years as its top cyber security expert. In 2006, Saini was granted premature retirement to seek a career in the private sector. Armed with his expertise, Saini landed a job with software major Microsoft. He was all set to begin a new career when his world fell apart. The Delhi police arrested him for allegedly leaking secrets to an American agent. Also arrested was Brig Ujjal Dasgupta, the computer security expert of RAW, India’s external intelligence agency. Both arrests were made under the draconian Official Secrets Act. According to the grapevine, in its overenthusiasm, the IB had got the wrong men and once it set the police on them, it didn’t want to admit its mistake. Saini finally got out of jail on bail after nearly four years. Today he is an angry and bitter man, who has already spent more time in jail than what even his maximum sentence would have entailed—which is three years—and that too even before the trial began. His story, and that of Dasgupta, are in stark contrast to the security breaches committed by NTRO’s Sistala and Dixit. And yet, without any powerful lobby to help them, Saini and Dasgupta became victims of a case that was questionable from the very start. Forensic analysis has shown this RAW hand had not accessed what he’s accused of leaking in years. He languishes in jail, awaiting trial. Sample this. Saini, who was serving with the NSCS, should have been arrested and prosecuted after the competent authority gave sanction, as mandated by the Official Secrets Act. The authority in this case was clearly the NSCS. But when the police went to it for sanction, they were turned down. Embarrassed, the cops approached the defence ministry, which, incidentally, had nothing to do with the case to begin with. But the defence ministry’s deputy secretary, V.P. Varghese, didn’t even seek, let alone examine the documents cited as evidence by the police. Sources say Varghese was given a draft sanction order which he immediately signed without applying his mind or even referring it to his seniors. This brings us to the documents allegedly “leaked” by Saini and cited as “evidence” against him. They were the “draft report of the Indian nuclear doctrine” and a note on the “KRA Canal (Thailand) and its impact on India”. But both documents were unclassified. In fact, one of them, the nuclear doctrine document, had been released to the media years ago, according to the NSCS. The other document, a note on the proposed KRA canal in Thailand, was written by Saini himself. It examined the dangers posed by such a canal, as it would link the Andaman Sea to the South China Sea, giving China access to the Andaman & Nicobar Islands. The NSCS has clearly stated that this is not its document, and therefore couldn’t be one that was classified. All that Saini had done was some loud thinking, set down on paper, about a canal project that eventually was cancelled by Thailand. If this was laughable, the evidence cited against Saini was even more ludicrous. The police alleged that Saini had leaked the minutes of a meeting of the Indo-US Cyber Security Forum to an American agent, a US embassy official, Rossanna Minchew. While Saini was the Indian coordinator for the forum, Minchew was his counterpart from the US. While submitting this document as “evidence”, the police failed to explain how a document that recorded the minutes of a meeting that was held with the Americans could be considered classified? “Even if I did give the document to Minchew, as alleged,” says Saini, “then I am only giving her what she or her colleagues who attended the meeting already knew!” But the police nevertheless cited this as “evidence”. To take the cake, there was a far more serious flaw in the allegation: the police claimed the document was the minutes of a meeting held on January 28, 2003. “However, no such meeting ever took place at all,” says Saini. “And the records of all the meetings of the forum are readily available.” Also cited as ‘evidence’ was a proposal by Saini for a network of computers that would enable all the intelligence agencies to share real-time data seamlessly. It remained on paper and was a harmless document showing how such a project could be implemented. Any networking engineer could draw up such a document. Both the documents this officer is alleged to have leaked were not classified. In fact, one had been released to the media long ago. And for Dasgupta? The police cited numerous calls between Dasgupta and Minchew as “evidence”. But both were after all part of a forum set up by the Indian and US governments, and therefore bound to interact. The police also alleged that Dasgupta had leaked a secret RAW software, which he had developed, to the US. But how could a mere internal operating software be a secret? Files created using that system could have been secret. The operating system itself wouldn’t amount to a secret, so there’s no question of leakage. The more insidious parts of the prosecution lay elsewhere. The computers of Saini and Dasgupta had been confiscated on their arrest and sent to the Central Forensic Science Laboratory for analysis. Its report was devastating to the police case: the documents cited as ‘evidence’ hadn’t been accessed by Saini or Dasgupta for long. If that was true, how were they transmitted to Minchew? The strangest aspect of the case was government’s attitude towards Minchew, a co-accused in the case. Documents now available clearly show that the Indian embassy in Washington had done a thorough background check on her before granting her a visa. Ironically, while she was in Delhi even while the investigations were on, no effort was made to either arrest her or declare her persona non grata. Instead, she quietly flew out of Delhi and no one knows where she is. Even though India and the US are signatories to the Mutual Legal Assistance Treaty, no effort has been made by New Delhi to seek the questioning or deposition by Minchew. Unlike the security breaches committed by the NTRO and DRDO officials, which have the potential to lay bare India’s most sensitive secrets, including its efforts at developing a capability to launch a retaliatory nuclear strike, Saini and Dasgupta’s alleged leaks were inconsequential. They were probably not even leaks. But for a security establishment in the habit of responding to the whims of the powerful, Saini and Dasgupta’s lives were expendable. Today Saini, though out on bail, is struggling to make ends meet, having sold off his house to pay legal fees. He has to go to court as and when summoned. Dasgupta languishes in jail awaiting trial. India’s defence data could be an open secret. Ask the NTRO bosses who lost their laptops. 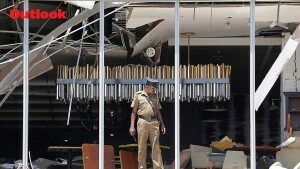 Clean-up operations are on at the NTRO but who will head it: an intelligence official or a DRDO man again?